The beauty of Bikaner is the Thar Desert and the amazingly stunning golden sand dunes. 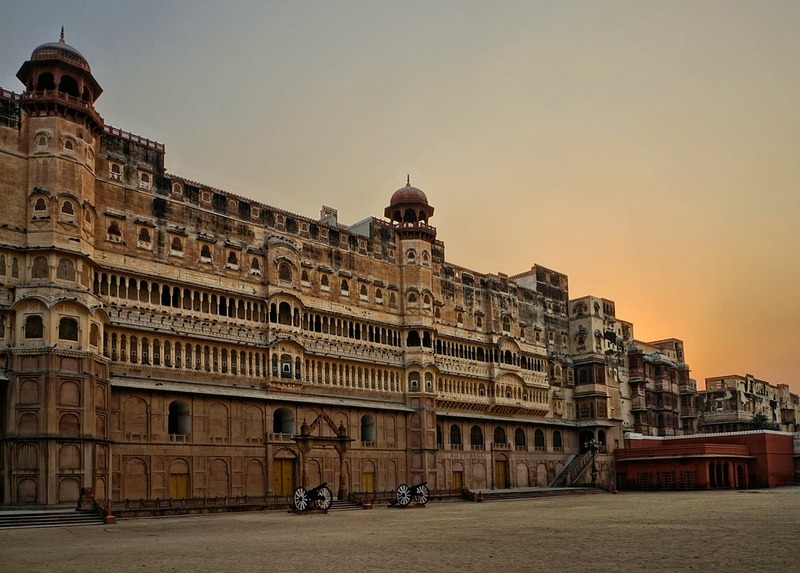 This city is colourful and vibrant and offers a plethora of places to visit in Bikaner. The rich cultural heritage is associated with Bikaner since its establishment in the year 1488 AD. Rao Bika Ji, a Rajput prince who was a great warrior, developed the city. The city is well admired for its ancient temples, remains of Harappan culture, massive forts, palaces and much more. You will also find the ornate architecture and buildings standing alone from the 16th-century. Junagarh Fort was built in the year 1593 by Raja Rai Singh. The fort structure consists of temples and palaces. The delicately done galleries, lawns, and windows catch the eyes of the visitors. The Zenana quarters, in particular, lures the attention of tourists as they display impeccable designs of great creative skills. 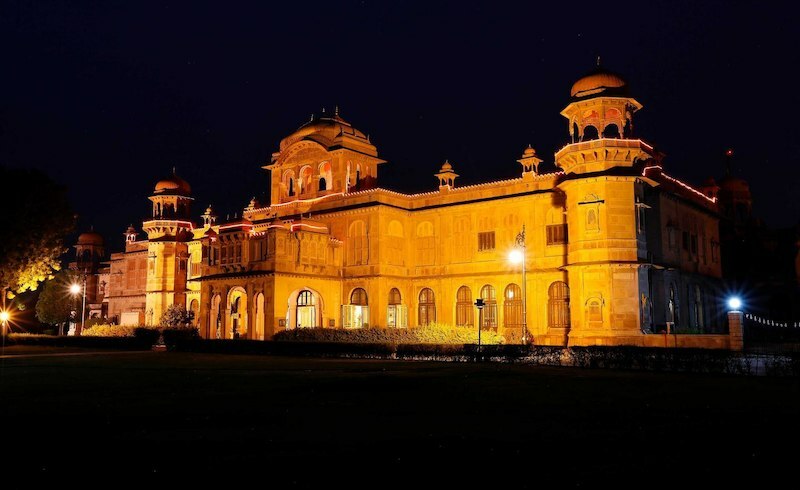 The Karan Mahal, Anup Mahal, Chandra Mahal and Phool Mahal are some major attractions here. It is assumed that crocodiles were raised in the water canal surrounding the impressive fort. The architecture is a fine mixture of Mughal, Gujarati and Rajput style. 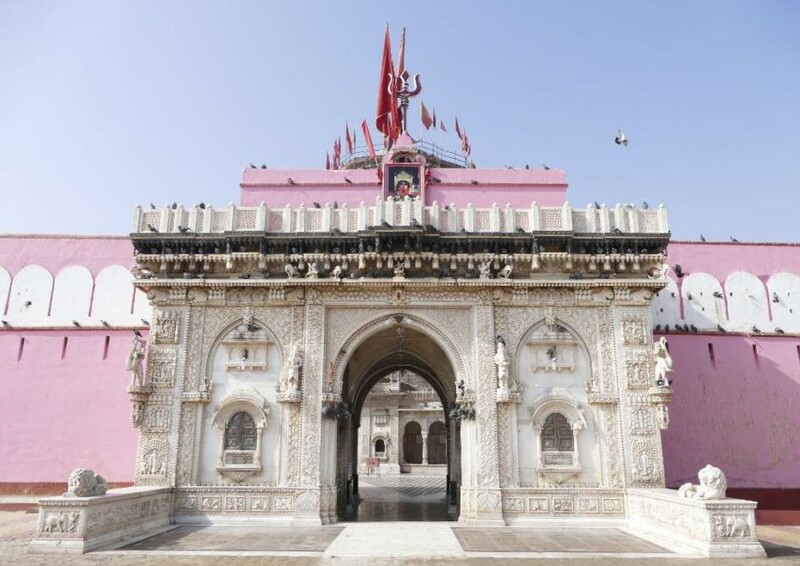 Karni Mata Temple is likely a standout amongst the most renowned spots to visit in Bikaner. This sanctuary is known for its sizable populace of rats that are the lasting occupants here. Going back to the 15thcentury, this sanctuary is devoted to Karni Mata who was the incarnation of Goddess Durga. Legend has it that when Karni Mata's child passed on, she asked for Yama to restore her child's life, however, Yama did not. Along these lines, Karni Mata being the incarnation of Goddess restored the life of her child and proclaimed that from now onwards her family won't confront demise yet be resurrected as rats. 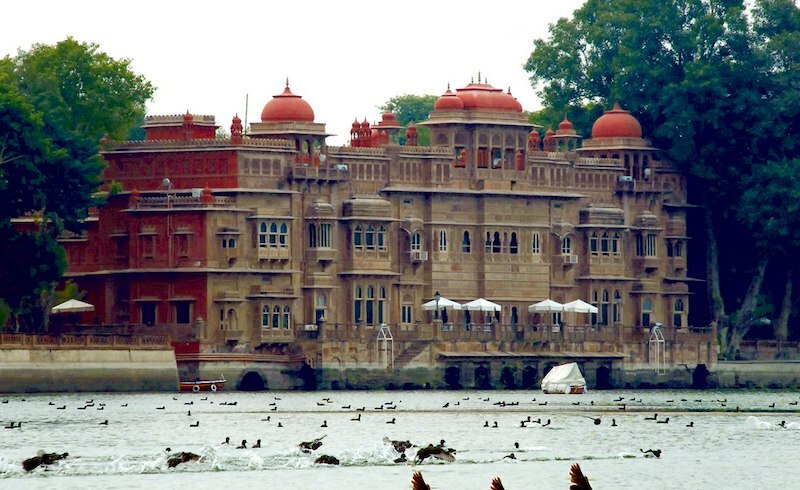 Gajner Palace is among the popular sightseeing attractions of Bikaner, situated on the bank of a lake. The castle was built by former ruler of the Bikaner province, Maharaja Ganga Singh Ji. Gajner Palace was a hunting and vacation lodge during old times. 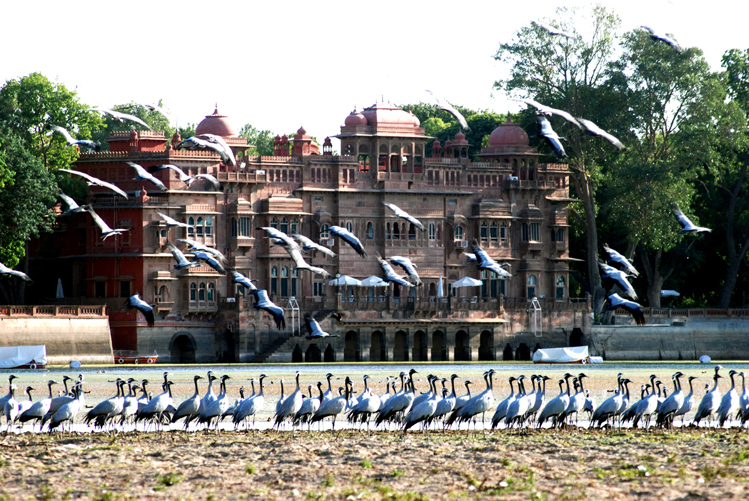 where the King of Bikaner and royal family yielded their passion for hunting with the guests. Constructed in red sandstone, is a classic representation of craftsmanship. Intricately sculpted pillars, jharokhas and screens are the major draws of the palace. Located in the middle of a thick forest, visitors can sight wandering birds like Imperial Sand Goose, Antelopes, and Black Bucks along with Nilgais, Chinkaras, Blue Bull and Deer can be sighted. 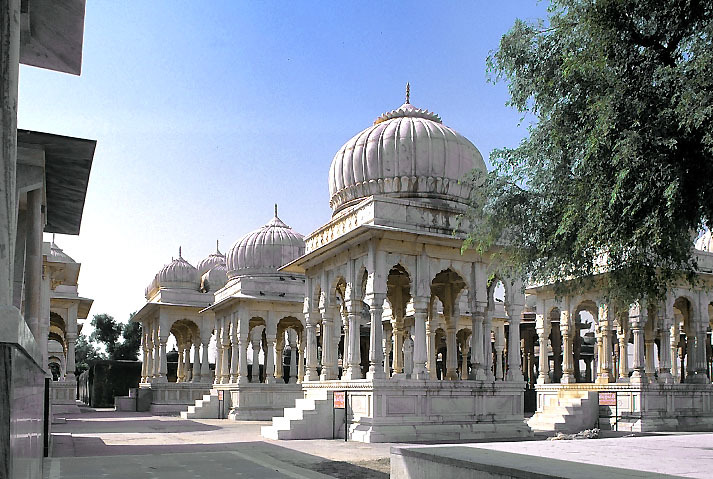 One of the two famous Jain temples of Bikaner, Bhandasar is considered particularly one among the best places to visit in Bikaner. It is beautified with yellow stone carvings and vibrant paintings. 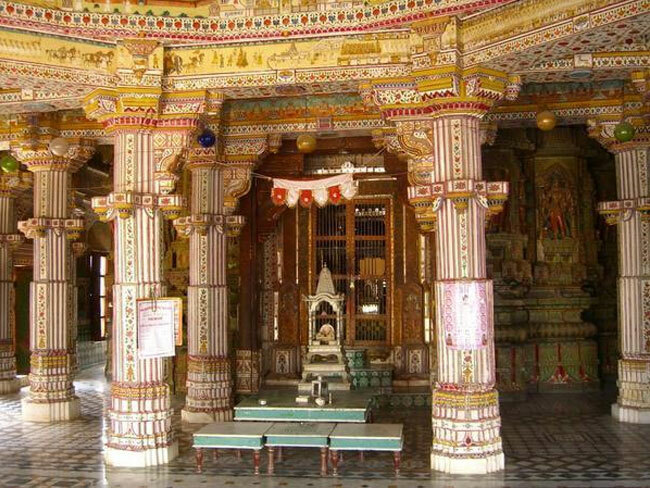 The interior of the temple looks stunning with the paintings on the walls and pillars. The walls carry floral arabesques and the depictions of the 24 Jain teachers. It is said that 40000 KG of ghee has been used instead of water for the mortar. The three storied temple keeps the miniatures of the sentries of gods on the first floor. From the top floor, the visitors get a panoramic view of the city that stretches to the west. Basically, the temple is dedicated to the fifth Tirthankar, Sumtinath and was commissioned by a Jain merchant called Bhandasa Oswal. Since the temple was established during the 16th century, it has plenty of historical attitudes and attributions portrayed in the structure. Among the best places to visit in Bikaner, Devi Kund Sagar has a prominent position. It is located 8 KM in the east city. It is popular since the members of ruling family of Bikaner subsequent to Jet Singh, the great grandson of Rao Bikaji have been cremated here. Here you can see a reservoir which has royal cenotaphs on the either sides; cenotaphs of rulers of Bikaner dynasty from Rao Kalyan Singhji to Maharaja Karni Singh. Chhatries or cenotaphs of 22 Saties of the royal family prior to Maharaja Gaj Singh. You can see a cenotaph of a male as well. The architectural talents displayed on these cenotaphs are the real factors that attract more visitors toward here. Surat Singh’s cenotaph is built completely in white marbles exhibiting a stunning beauty. The entire place is beautified by spectacular paintings. Approximately 32kms from Bikaner, Gajner Wildlife Sanctuary is an exemplary place for wildlife experience near Bikaner. The sanctuary houses many species of animals like Chinkara (black buck), wild boar, neelgai and much more. One can also notice an enormous population of birds here like sandgrouse. This park was once the hunting area for the Maharaja and the ruling family and today it has been expanded as a wildlife reserve that preserves rich flora and fauna. Opting a safari within it is a great experience for wildlife enthusiasts; Also the bird lookouts have an excellent chance to find birds of various species here. 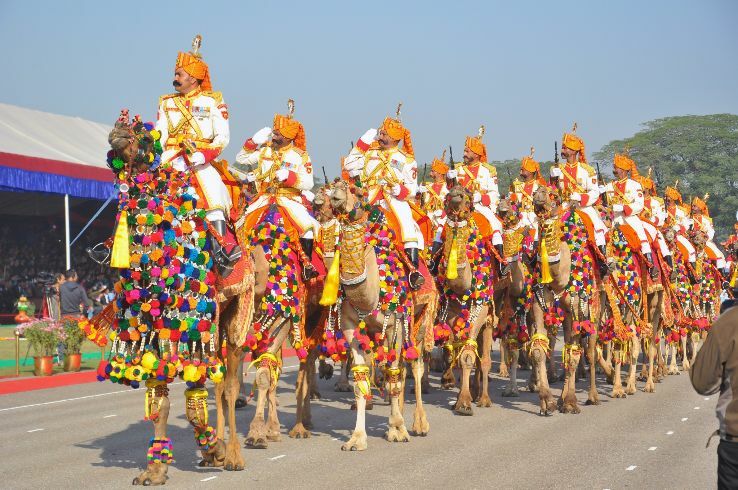 Bikaner camel festival is something which attracts plenty of people toward the alluring sands of Thar Desert. This festival conducted by the Department of Tourism of Rajasthan is a dedication to the gentle desert animals, the camel. Also, it is an annual festival in which the colorful glory of Rajasthan can be seen completely. You will be getting to see the folk performances by the local artists. The festival starts with a parade of wonderfully decorated camels; the picturesque beauty of the camels standing in an alignment against the red backdrop of Junagarh fort is quite attractive. Camel traders and craftsmen from around Rajasthan gather here along with a lot of spectacular contests for the camels such as races, beauty pageants, best breed competition etc. Umpteen numbers of food stalls, handicrafts shops, skirt-swirling dances etc are other privileged attractions of the festival. The rich merchants of Bikaner build Rampuriahavelis over a period of a few hundred years. Standing beautifully, these Havelis of Bikaner are not just a visual delight. They are a perfect example of the delicate sagacity of aesthetics that our forefathers had endowed upon us. 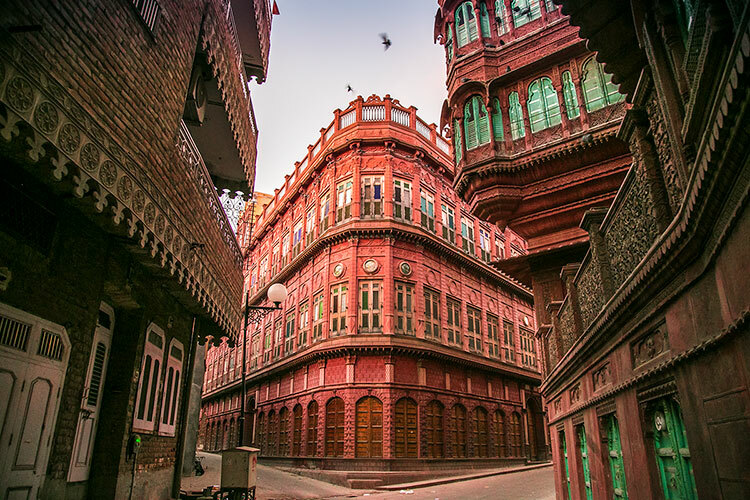 These havelis in Bikaner take us to an era of our ancestors and when you witness the exuberance of their beauty and majesty, you feel going back to the few decades, which are past now.